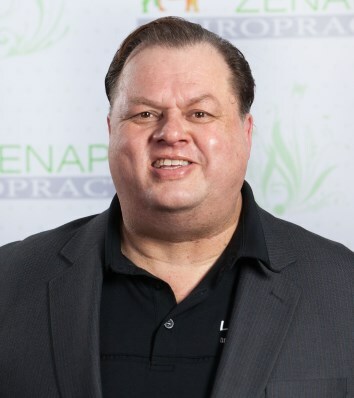 Dr. Brian O’Neill is one of the Vancouver, Wa Auto Accident Chiropractors at Zenaptic Chiropractic. Dr. Brian provides care for Vancouver auto accident chiropractic patients who have injuries such as whiplash, neck, back, and other pain. Dr. O’Neill decided to pursue chiropractic after personally experiencing the healing benefits of chiropractic for his own back pain and foot pain. He received his first undergraduate degree in Psychology from San Diego State University, and his second in Human Biology from Logan o University. 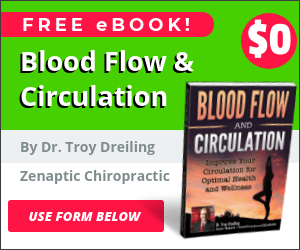 Dr. O’Neill then pursued both a Master’s degree in Sports Science and Rehabilitation and his Doctorate in Chiropractic at Logan College of Chiropractic in Chesterfield, Missouri. Dr. O’Neill is a Washington State Chiropractic Association member. Dr. O’Neill donated his time, expertise and experience to the community through chiropractic care for the Salvation Army’s Men’s Rehabilitation Center, the St. Louis Homeless shelter, the Chron’s and Colitis associations and the St. Louis V.A. and he continues to donate his time, expertise and experience to the local pacific northwest community. Dr. O’Neill spent his time working on his Master’s Degree helping all of the athletes at the University of Missouri and some of the local junior colleges in the area. Since receiving his Master’s Degree Dr. O’Neill has had the privilege of working with numerous professional, collegiate and high school athletes. Together with his wife, Rebekah, they are active members in the community. Dr. O’Neill and his wife are also both avid hikers and fly fishermen enjoying the Northwest very much. Dr. O’Neill’s desire is to offer comprehensive health care through Chiropractic care to the Pacific Northwest and to make these the healthiest two states in the nation! Leave a review for Vancouver, Washington Auto Accident Chiropractor Dr. Brian O’Neill. Dr. Brian O’Neill is an approved Labor and Industries Doctor of chiropractic (DC) he may serve as an attending provider in the care of injured workers in Washington State. Chiropractors manage about one-third of the state’s occupational low-back injuries. As a chiropractic physician, Dr. O’Neill may be an attending provider for workers with accepted extremity conditions as well as spinal conditions. Like care rendered by other health-care providers, chiropractic care for injured workers is designed to be curative and rehabilitative.